Today soup is recognized as an excellent source of vitamins and minerals. This is due to the large quantity of vegetables and to the fact that the water, into which some of the minerals are secreted, is also consumed. Some of the vitamins, however, are destroyed, since soup is cooked for a relatively long time. Soup also provides an excellent source for the consumption of legumes, such as peas, beans lentils and chick peas, even for people who don’t generally eat these foods separately, adding many minerals and other healthy ingredients to our diet. Legumes are also recognized for their high content of dietary fibers which dissolve in water and are known to aid in lowering the level of blood sugar and fats. Soup can be made with all kinds of vegetables in all colors, and each type of vegetable provides a different source of important vitamins and minerals. Adding some grains such as barley, oat, wheat, brown rice or orange lentils will only increase the soups nutritional value. Considering all these advantages the question we now ask, “why we don’t eat soup on a daily basis” and the answer is of course that even though soup is healthy it can also be fattening. A bowl of legume soup provides between 200-300 calories and that is before we puree the soup and add other ingredients such as cooking cream. We must also remember that although potatoes, sweet potatoes, corn and peas add to the nutritional value of soups, these are not part of the vegetable group of foods but are carbohydrates which provide us with increased energy but must be eaten with caution by those suffering from diabetes. Moreover, there are the oils and fats used in the initial process of frying or steaming all the ingredients. Generally they only amount to 0% -1% per serving, but fats from chicken or meat cooked in the soup can in fact add an undesirable amount of calories and fats to each serving, such as saturated fats which are considered to increase fat in the blood. It is therefore highly recommended to first cool the soup and then discard the unwanted fats that have crystallized at the top. Adding additional ingredients such as croutons or soup almonds will also significantly increase the calories as there are 80 calories in only two tablespoons of croutons and 100 in two tablespoons of egg nuts, assuming that this is the amount we really use. These additional ingredients also have a high content of fat, between 26-32% as well as a high salt content, neither one recommended for consumption among the general public but are especially dangerous for those with high blood pressure. 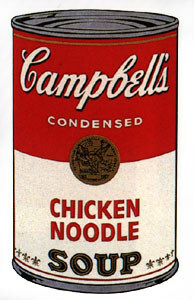 In regards to readymade soups, though the packages say “made from natural ingredients only and with no added preservatives” this should not be taken at face value since all of these soups contain a high percentage of salt (sodium) as stated on the packages and is most often the first ingredient and generally the main ingredient in these soups. These packaged soups also contain vegetable oils which among other things increase the “bad” cholesterol level in the blood. Though some of these soups list vegetable oils as part of the ingredients there is no mention of the type of vegetable oil, while we know that some vegetables oils such as palm oil used in the food industry are mainly composed of saturated fats. Also, the vegetables listed on the package are dried vegetables whose nutritional value is much less than that of fresh vegetables. In summary, soup is indeed an ingenuous invention for those cold rainy winter days and provides many healthy essentials to our diet, but like all foods it should be integrated as part of a varied and balanced daily diet taking all aspects into account, and most important should be homemade.